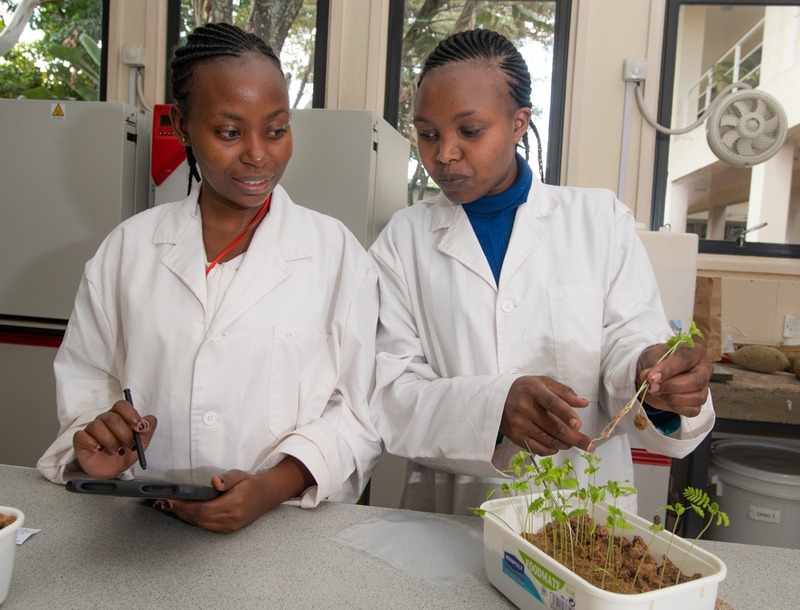 ICRAF is one of 11 CGIAR research centers which make up the Genebank Platform, a partnership between the Crop Trust and CGIAR. 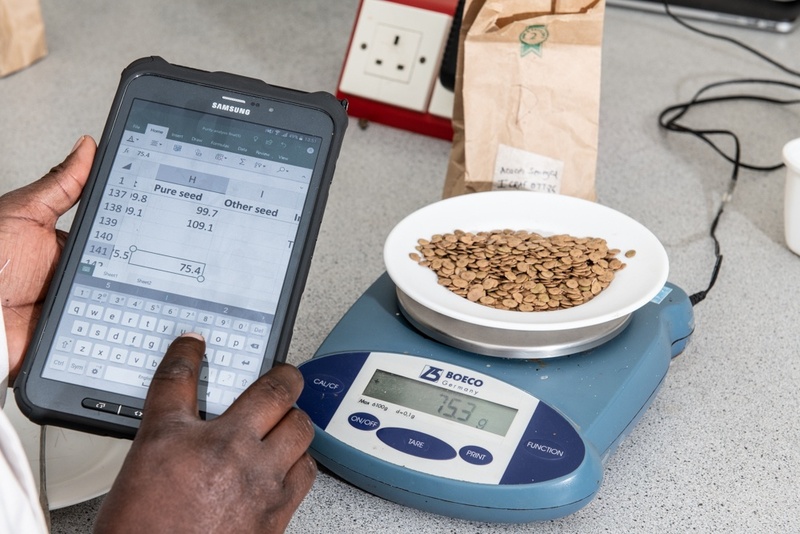 ICRAF has 5,391 accessions listed on Genesys, the global portal to information about plant genetic resources for food and agriculture. 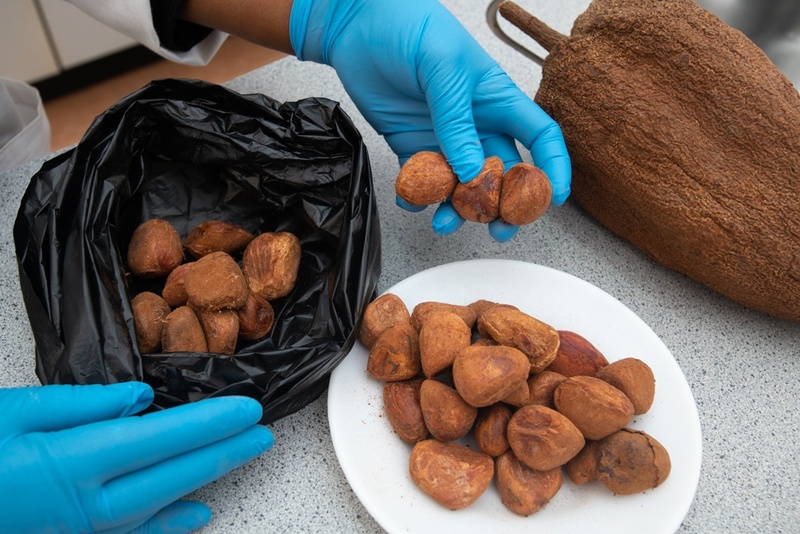 The ICRAF genebank hosts the world’s largest holdings of agroforestry tree genetic resources but encounters several unique challenges in getting some of the seeds in its collection of 190 species to germinate. BANG! BANG! BANG! 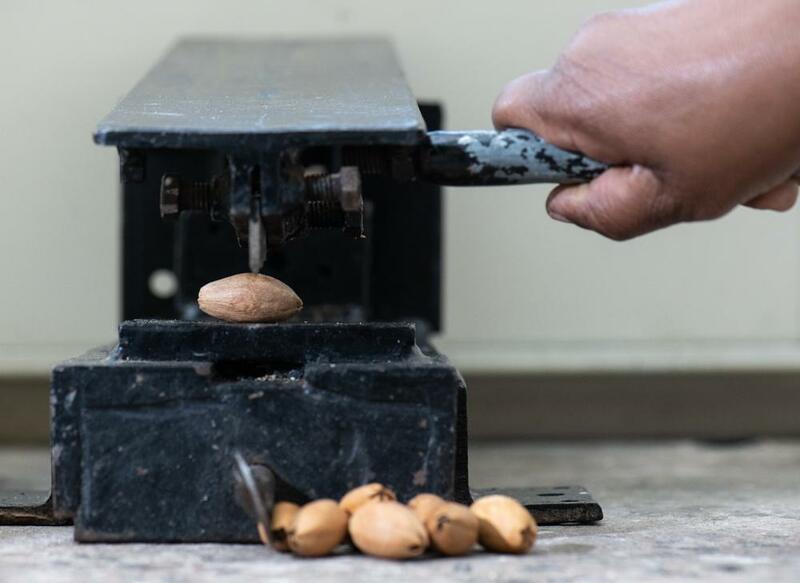 People walking past the genebank of the World Agroforestry Centre (ICRAF) may need to block their ears when the technicians are opening a baobab fruit. 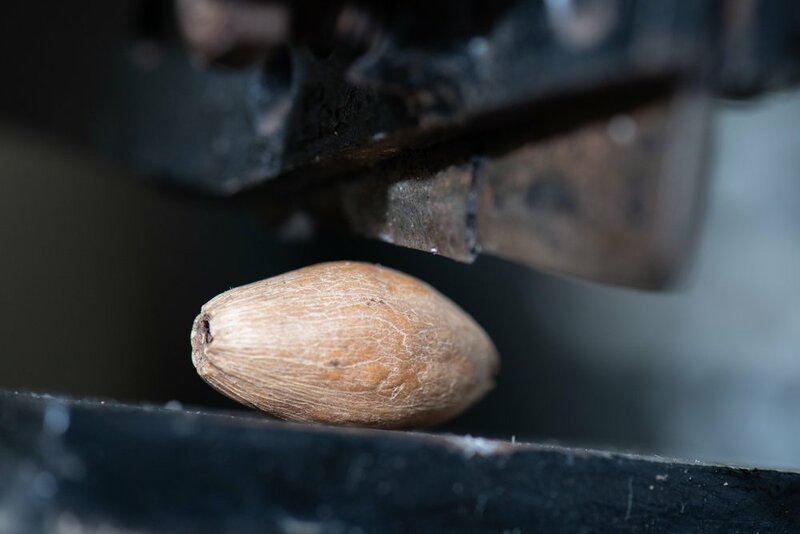 Agnes Were, a laboratory assistant, wields a hammer to open the hard, woody exterior and reveal the fibrous seeds inside. BANG! BANG! BANG! 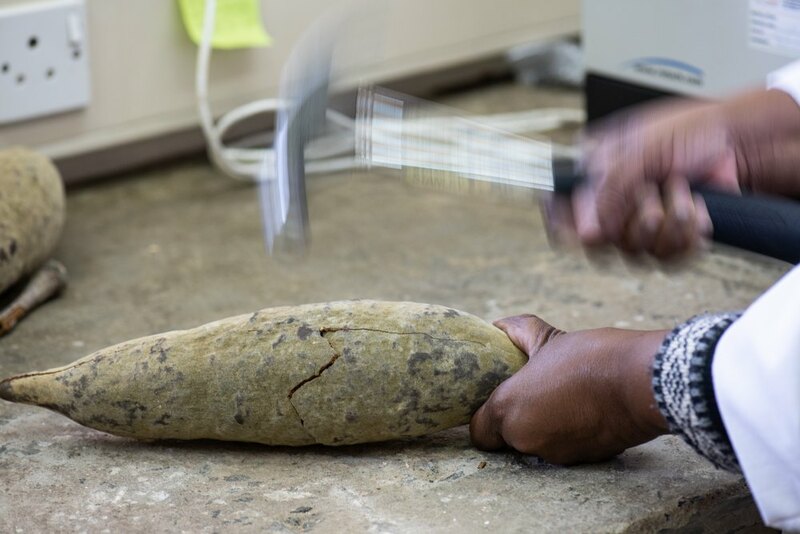 A hammer works for the baobab, but that is just one of many tools and techniques that ICRAF genebank staff have developed to bring tree species into ex situ conservation. The ICRAF genebank was established in 1997 and now hosts the world’s largest holdings of agroforestry tree genetic resources. 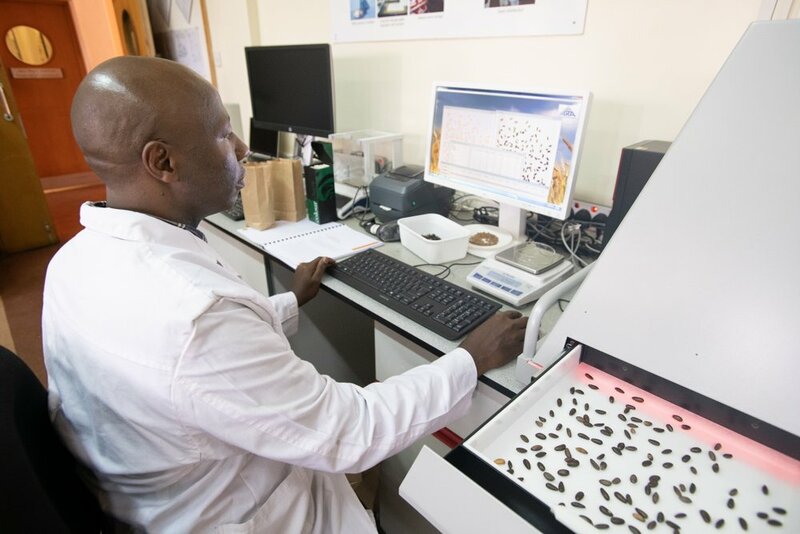 ICRAF has a medium-term storage facility in Nairobi which safeguards more than 5,300 seed accessions of 190 species. Another 12,000 accessions of 67 species are in 36 field genebanks located in 16 countries in Africa, Latin America and Asia. The accessions are primarily indigenous tree species useful for many different purposes as sources of medicinal extract, fruit, fodder, vegetables, specialist woods, and timber. The diverse tree species also help in improving soil nutrient content, retaining water and providing shade. By conserving and making available the best specimens of these tree species, ICRAF helps farmers and other landowners to plant more trees. Many tree species, for example, have recalcitrant seeds. Their seeds lose viability when stored as dried seeds. These species need to be maintained as living plants in field genebanks. Ex situ seed storage is the most common conservation method for orthodox seeds. However, if the species is popular and the seed is demanded by users, then eventually the supply has to be regenerated. For trees, this is expensive and difficult, demanding not only customized germination protocols for each species but a large amount of space and time to keep the trees until they mature and bear fruit. Allanblackia is a good example of how ICRAF had to learn about breaking dormancy. This species is a native African tree that has been valued for centuries for its oil. It’s often called the tallow tree. 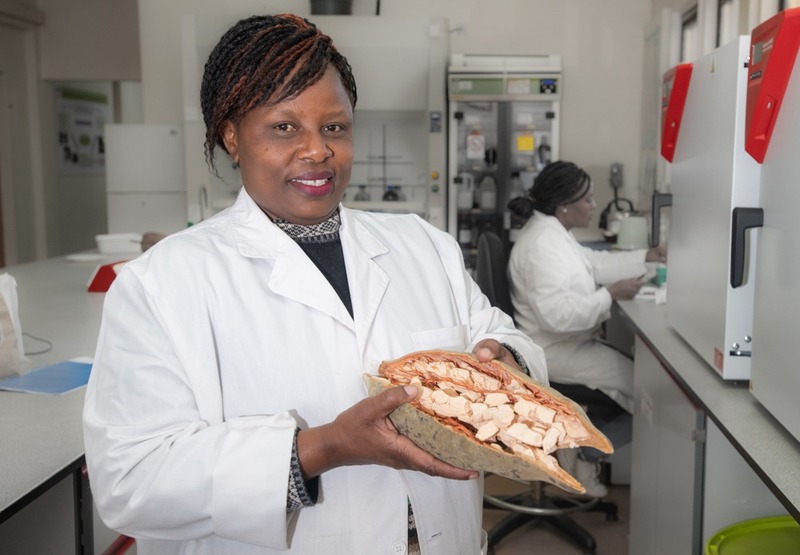 In 2000, Unilever discovered what local villagers had known for generations: the oil is a “food technologist’s dream” and is ideally suited for spreads like margarine. 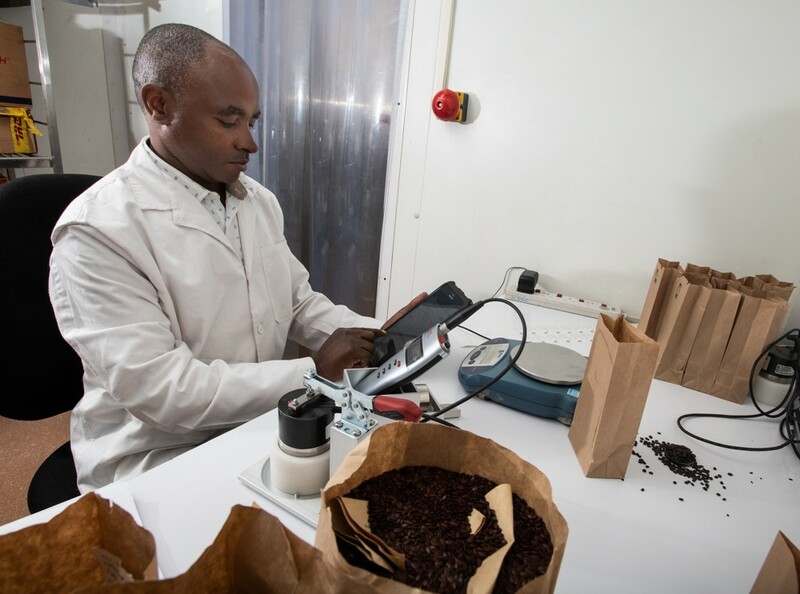 Unilever began working with ICRAF to domesticate Allanblackia, but soon realized that getting the seed to germinate was no easy task. 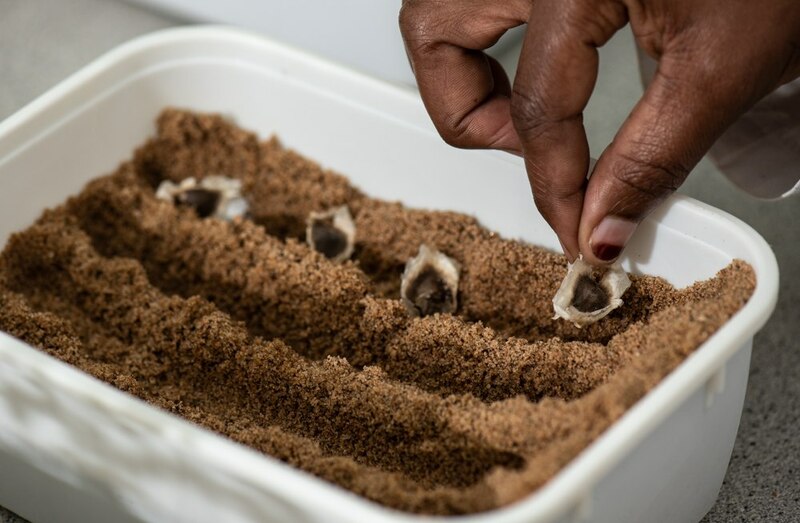 “We replicated the black polythene bag method in the genebank and finally succeeded in breaking dormancy and starting germination after about four weeks,” Alice explained. Written procedures are critical when you have such a diversity of material. Eucalyptus species have seeds of less than one millimeter while the Allanblackia fruit can weigh an average of 5 kg. 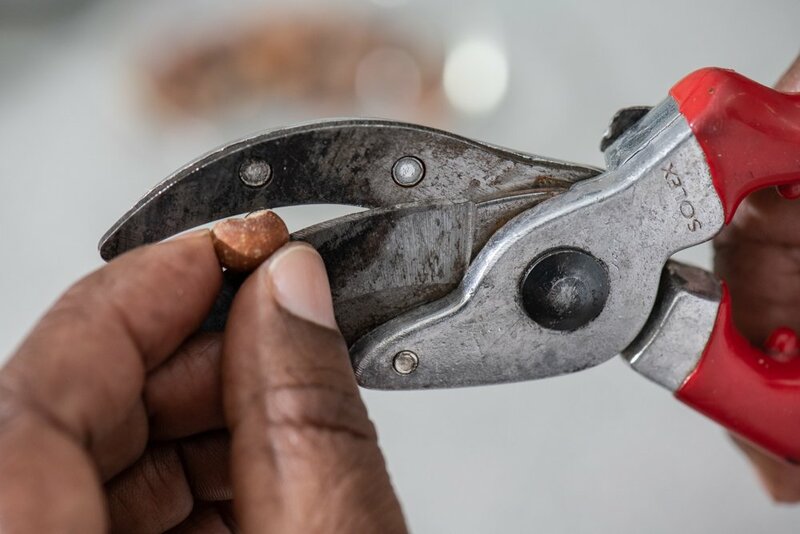 With most species, genebank staff can scarify the seed by puncturing the seed coat with a razor blade, scalpel or emery paper without damaging the embryo. However, some tree species have very hard seed cases that are impossible to scarify using normal abrasion techniques. So, over the years, staff at ICRAF have developed numerous distinct protocols for the varied species in their collection. 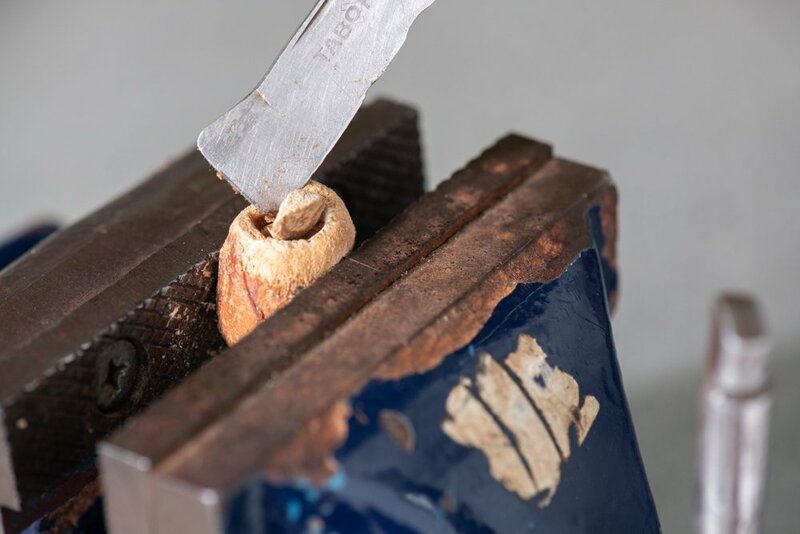 The ICRAF genebank has more tools than a medieval torture chamber, with hammers, saws, vices, garden secateurs, fingernail clippers and more (see photo gallery). 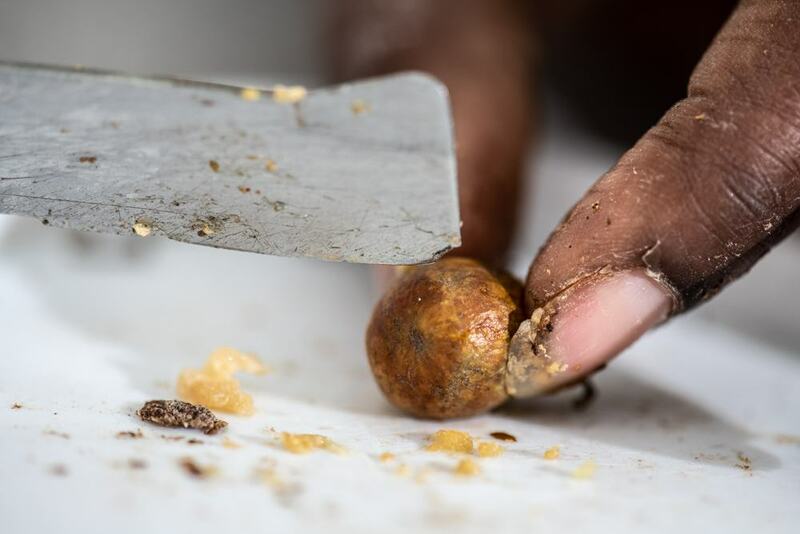 For some species, only a few seeds are collected, so any seed used in germination tests are grown out and taken to the field nursery for research or distribution. All this expertise in conservation techniques is fantastic for keeping the seeds healthy in storage for the long term. However, the demand for tree seed from ICRAF is increasing. In 2017 alone, ICRAF sent germplasm samples to 2,959 users around the world not including ICRAF’s own users. About 87% of those samples went directly to farmers. 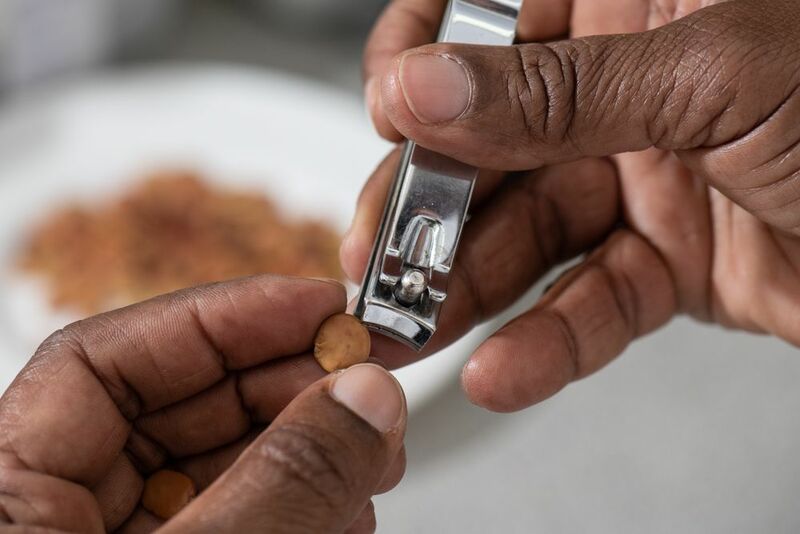 “Other genebank materials may first pass through a breeding pipeline before they turn up as improved varieties in farmers’ fields, but most trees are not yet domesticated so our users tend to be the farmers themselves,” said Alice. ICRAF’s germplasm recipients can be divided into two main groups. Farmers may request the seeds for their own use. They raise the seeds in their nurseries and plant the trees on their farms. Alternatively, community-based organizations request material and then distribute to farmers. “These are mainly smallholder farmers who in the end may plant 5-10 trees of a species on their farms,” said Alice. “If funds are available, we may monitor the performance of the distributed material in the farmers’ fields,” said Alice. Tree germplasm research projects tend to be very participatory. Trees require a lot of space and take years to mature. Most research centers do not have that much land available so most of the research is conducted on farmers’ fields. Trees play a vital role in many agricultural systems and are key to climate change mitigation. By safeguarding their diversity, we improve our food security and our ability to adapt to our changing climate. 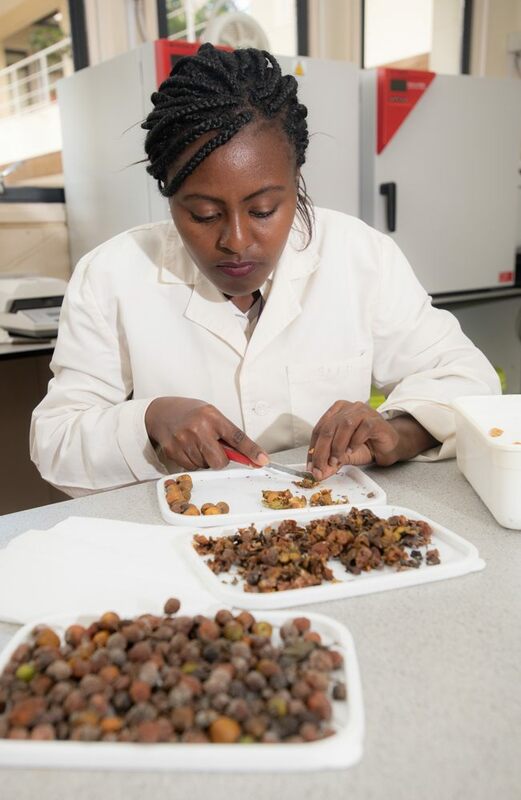 ICRAF’s genebank has been cracking the problem of tree seed conservation for more than 25 years to ensure that famers continue to have access to tree diversity. 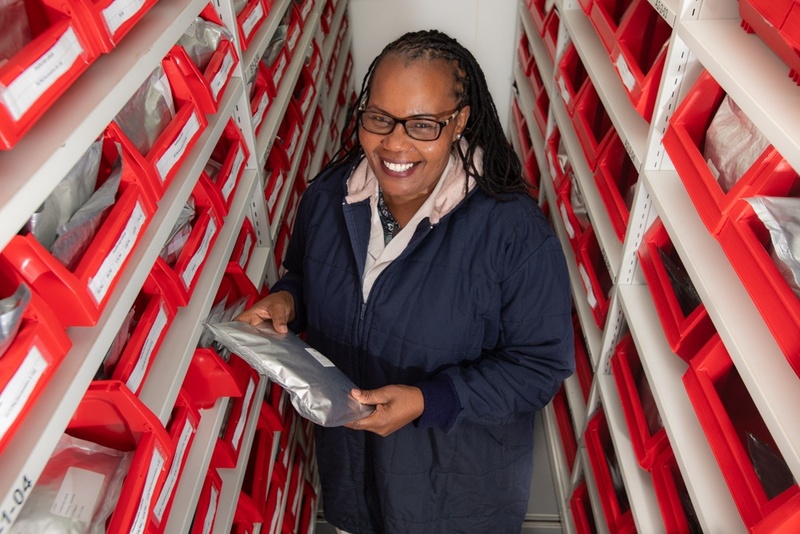 By distributing thousands of tree seeds and cuttings every year, the ICRAF genebank is paving the way to a future filled with trees.